Offline english korean dict. 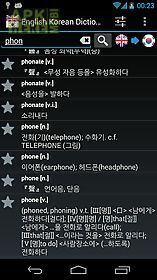 app for android description: offline english korean dictionary over 140. 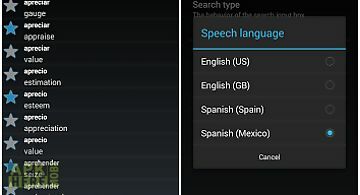 The perfect translator for your trips or when no data connection is available. 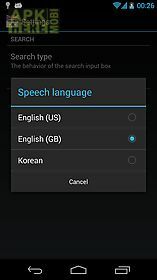 Listen to the correct pronunciation in british or american english and korean (if installed) using android 39 s built in text to speech synthesizer. Bookmark your favorite translations for fast reference. Note: the korean keyboard may not be available in some android devices. 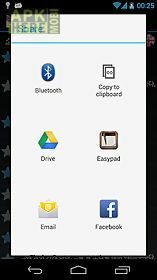 This application is free and supported by ads. The internet access permission is only used to load a banner. Faq: q: how can i share a translation? A: just press 2 3 seconds over the translation and you will be presented with a menu with all available sharing options based on the apps installed in your device (email sms etc)q: how can i change the speech language? A: just go to menu settings and select the language. Currently 3 languages are available: english (us) english (gb) korean (if installed)disclaimer: the text to speech (tts) technology may not be available in some devices. 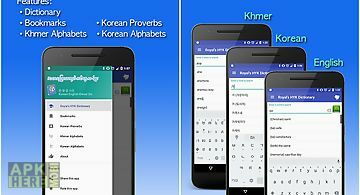 Related Apps to Offline english korean dict. 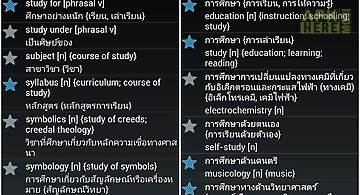 Royal 39 s royal 39 s royal 39 s korean english khmer dictionaryapp name: royal 39 s hyk dictionary (h: y: k: ) the most anticipated app for korean learner..
ngilizce t rk e s zl k offline. 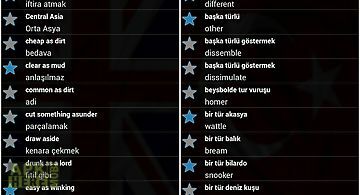 Offline english turkish dictionary. Over 160. 000 words and expressions bookmark your favorite translations for fast refer..
Engelsk svensk ordbok offline. 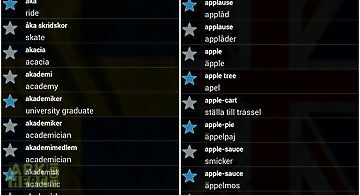 Offline english swedish dictionary. 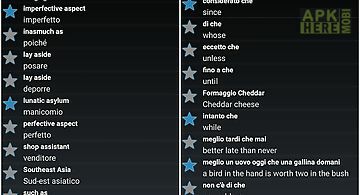 Over 3- 000 words and expressions bookmark your favorite translations for fast reference..
Dizionario inglese italiano offlineoffline english italian dictionary more than 5- 600 words and expressions bookmark your favorite translations for fast r..
offline english thai dictionary over 80. 000 words and expressions bookmark your favorite translations for fast reference works offline! 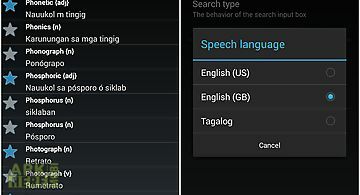 No internet conne..
Offline english tagalog dictionary. Diksyonaryo inggles tagalog offline over 3- 000 words and expressions bookmark your favorite translations for fast refe..
Dic o french english and english french off line dictionary with pronunciations (61000 translations). offline english japanese dictionary more than 200. 000 entries works offline! No internet connection needed! The perfect translator for your trips or when..
diccionario espa ol ingl s offlineoffline spanish english dictionary lexicon with over 80. 000 entries (words and expressions) no internet connection need..
Engelsk dansk ordbog offline. 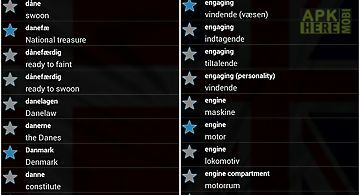 Offline english danish dictionary. Over 9- 000 words and expressions bookmark your favorite translations for fast reference w..
offline english arabic dictionary over 8- 000 words and expressions bookmark your favorite translations for fast reference works offline! 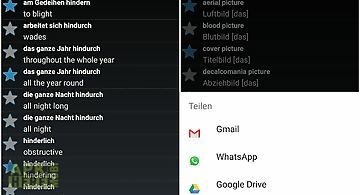 No internet conn..
Englisch deutsch w rterbuch offlineoffline english german dictionary over 16- 000 words and expressions bookmark your favorite translations for fast refere..